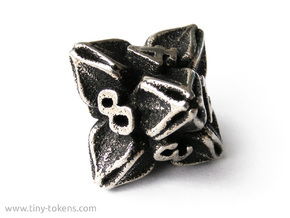 This ten sided die (D10) is shaped like a hedron from the plane of Zendikar in the Magic: the Gathering universe. 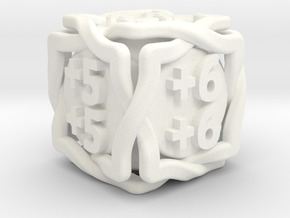 A set of two of these dice allows you to keep track of life totals from 100 to 1, like a true planeswalker ;). The numbers on this die run from 1 to 10 (represented by 0). The numbers are ordered in a spindown pattern. This means that consecutive numbers are placed next to each other, which makes it easier to find the number you are looking for. The die is perfectly balanced, so it gives a fair result when rolled. The die is pretty large, which makes it a real eye catcher. This also means that the numbers can be read easily. It measures 51 mm (2 inch) from point to point, and 28.5 mm (1.1 inch) across. 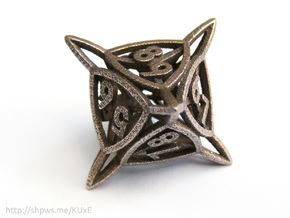 The design of the die is hollow, to save on material costs. This makes the die quite light when printed in plastic. It weighs about 29.2 grams when printed in metal, about 3.2 grams in white or colored plastic, and about 3.9 grams in metallic plastic. 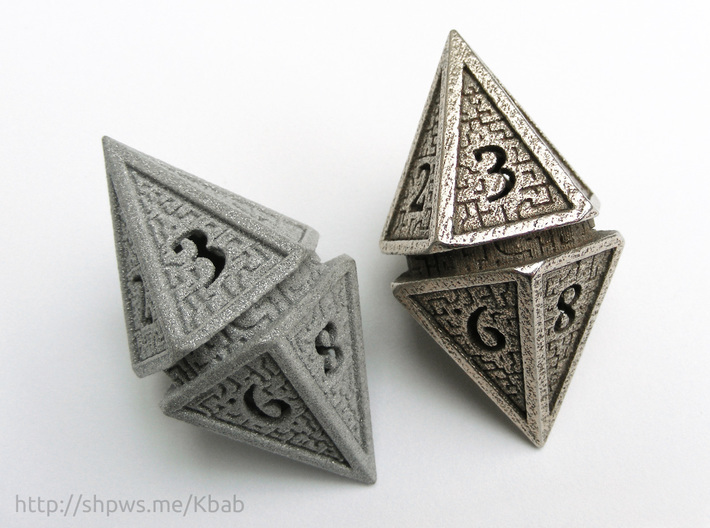 If you are looking for a heavier plasic version, there is also a solid version of this die available here. Please note that this a single D10. To record life totals from 100 to 1, you will need two of them. You can then use one die to record the 'tens' and the other one to keep track of the 'ones'. To better distinguish between the 'tens' and 'ones' you can choose to get two dice in a different color or material. 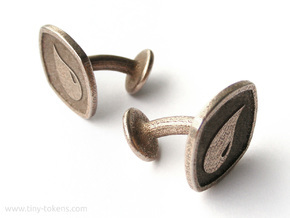 To order such a set, simply add the die to your cart ones in the material you want, then return to this item description page, select the material for your second die, and add it to your cart again. 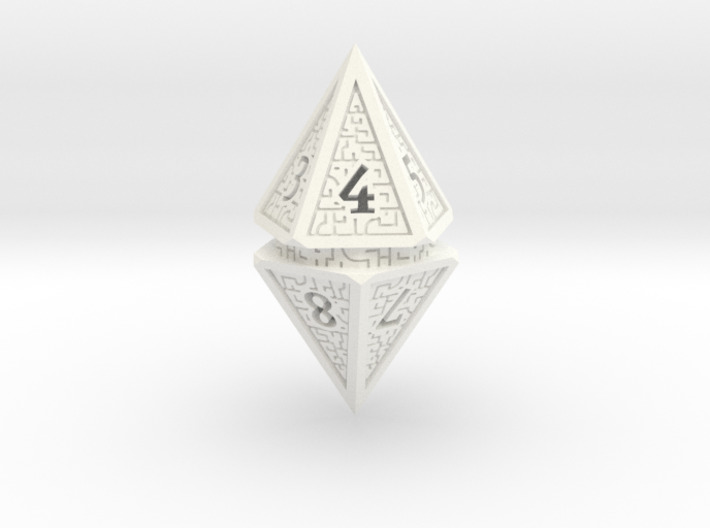 To order two dice in the same material, you can add one to your cart and then go to your cart to change the quantity. 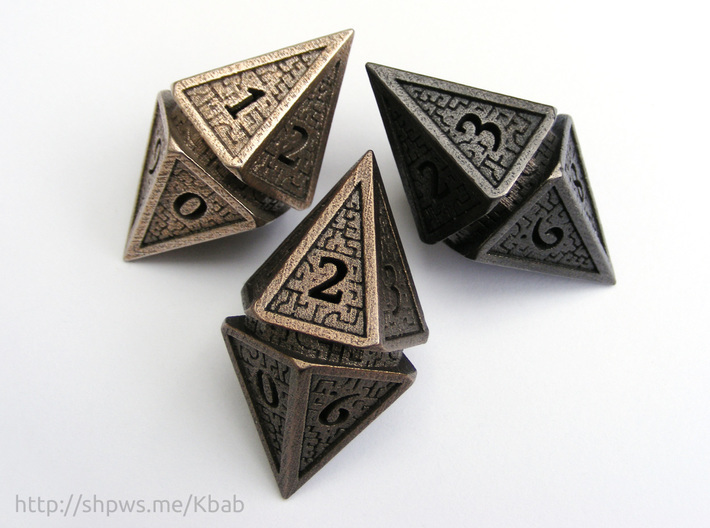 Due to the polishing process used for the metal dice, and due to the shape and level of detail on the die, it is likely that there will be some grains of polishing medium stuck to the surface and details of the metal. These small grains (they are actually tiny bits of corn cob) can be easily removed with the help of a pin or toothbrush.